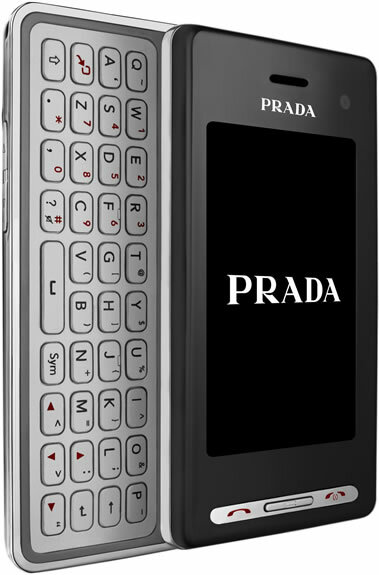 LG and Prada have finally announced the much anticipated Prada Touchscreen phone, also known as LG KF900. The phone is brilliant with modern features such as active flash UI technology and haptic feedback. The slide out keyboard makes things easier for internet surfing, email writing and other activities. The design is commendable with a full QWERTY keyboard, 3-inch WQVGA touchscreen display. In addition Prada II also comes loaded with PRADA ringtones, wallpapers and video clips, including 2008 Fall/Winter ‘lookbook’ and PRADA animation films. 5MP autofocus camera, Wi-Fi, TV-out, full HTML browser, video calling capabilities, Bluetooth 2.0, and HSDPA connection (up to 7.2 Mbps) are some of the other impressive aspects. The PRADA II phone will be available in Europe for €600.